Dekoversum: How do Orchids turn blue? How do Orchids turn blue? Did you ever wonder, how orchids turn blue? 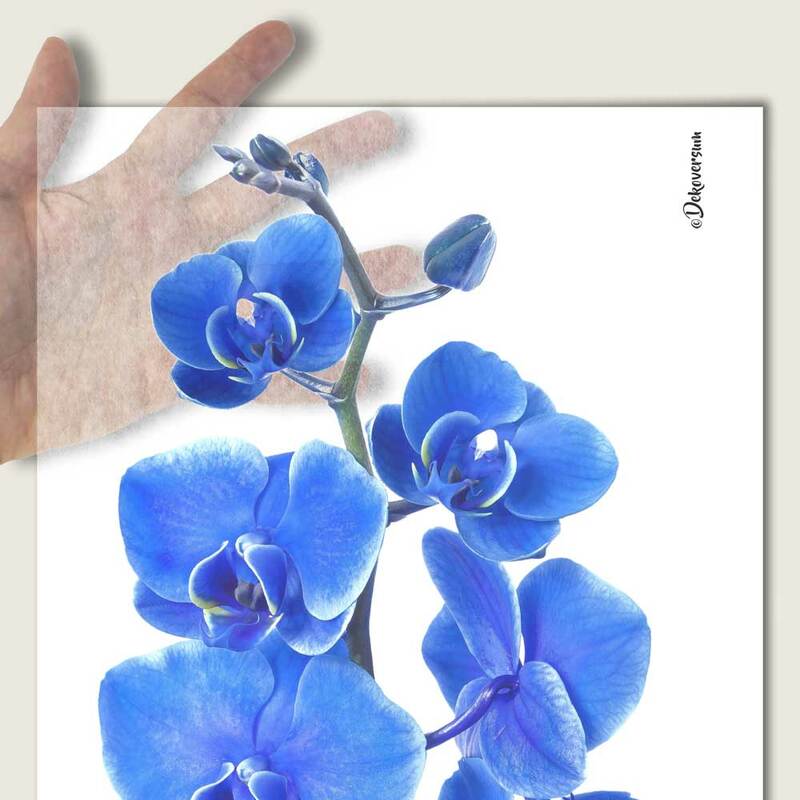 Once in a while you find those deep blue phalaenopsis orchids at DIY stores, garden centers or flower shops. I did a little research to find the answer to that question and found out, that orchids don't blossom naturally in this blue color shade. Everywhere you find such an deep blue orchid, it is actually a white orchid that was turned blue artificially with the help of colors. When the blue blossom is out of bloom, the blue color is gone. The next orchid blossoms will be white again. So the deep blue color splendor is short-lived. 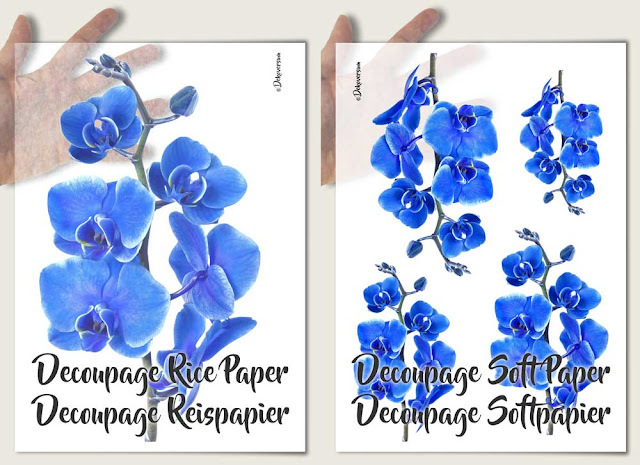 In order to preserve it, I decided to give the blue phalaenopsis orchid a decoupage paper. 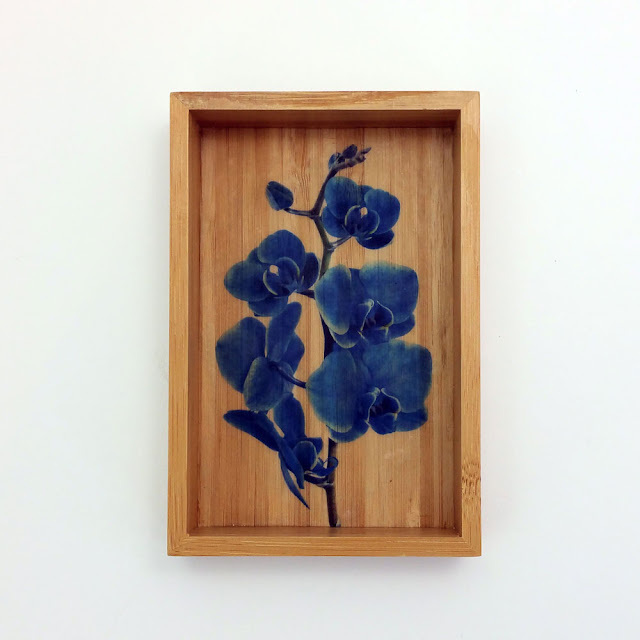 To help you find the perfect blue orchid for your DIY Ideas, the orchid motive will be available in different sizes.